What will happen to the Barfield Building? Anything? 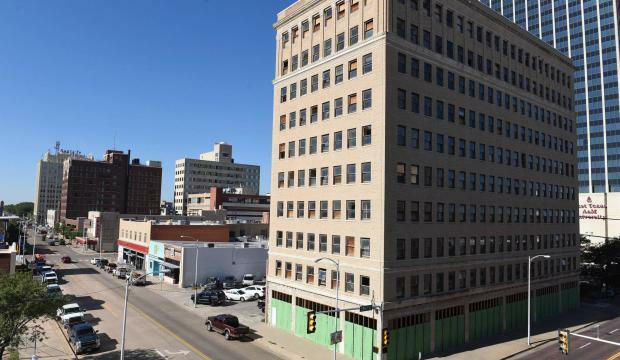 I have taken great pleasure in cheering on the progress I’ve witnessed in downtown Amarillo, Texas. Abandoned buildings have been revived. New structures are being erected. Businesses are coming back into the district. They’ve broken ground on a new minor-league baseball park. Downtown is home to two first-class hotels. Then we have the Barfield Building. I drive by it a couple times a week and so help me, it seems as though every time I see that rotting hulk of a structure it looks more dilapidated than it does the previous time I looked at it. I have lost track of the ownership changes that have occurred there. It’s been vacant for as long as my wife and I have lived in Amarillo; that’s more than 23 years. An investor once started gutting the ground floor. Then the work stopped. The owner boarded up the floor. Nothing has happened since. A Dallas-based investor took over the building with a promise to do something with it, or to it. Then a consortium of local investors took it over. That’s the last I heard of anything. This past summer there was some reporting about tax incentives to turn the Barfield into a hotel/apartment structure. The incentives were to total $17 million. The Amarillo Globe-News reported it as a possibility. That was then. Nothing has happened. I cannot help but think that a wrecking ball might be in the building’s future. The old Barfield Building keeps taking on the appearance of a structure that isn’t worth saving.